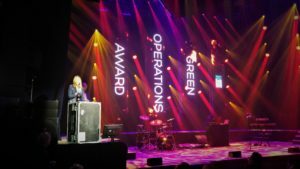 For the 6th time we had the chance to present the Green Operations Award as the award for Green Excellence at the European Festival Awards’ ceremony and this year winner is: POHODA Festival! GO Group are very grateful and honoured to once again be a part of the European Festival Awards by hosting this category. 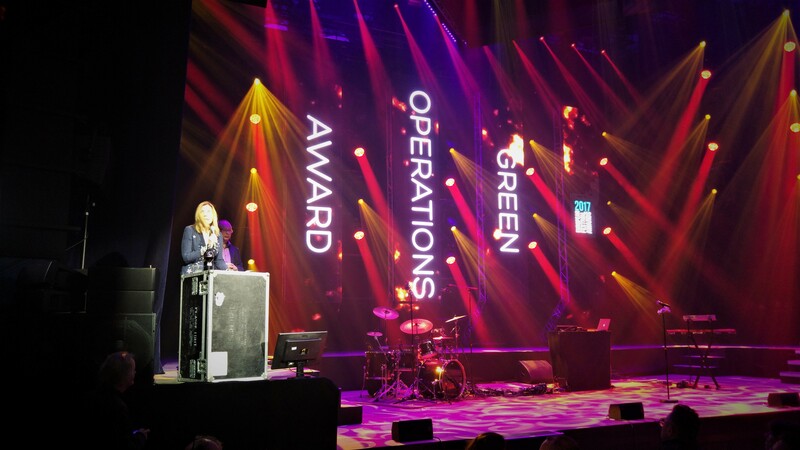 The Green Operations Award is the annual award presented by Yourope and the GO Group. Its target group are festivals that have made a significant contribution to or achievement towards developing more sustainable events. The award recognises their practises, systems and achievements which they introduced at their own event, the development of good practices, which they have shared with other events, a specific innovation or continuous improvement over a number of years. In the words of GO Group steering comittee member Teresa Moore (A Greener Festival), whopresented the Award onstage: All of these would make worthy winners. Congratulations to all of them! 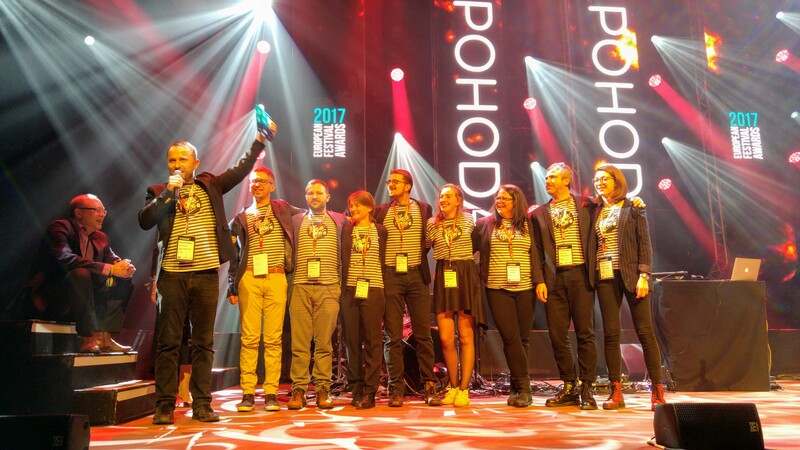 Pohoda for us stood out this year not only for the work it’s done on moving to more sustainable energy sources by partnering with a local energy provider to plug in stages and stands to the main grid creating a mobile solar powerplant. Not only for its efforts to reduce its travel emissions by partnering with the national train company to operate special festival trains across the country, promoting festival buses, developing carpooling and providing bycicles onsite for staff and artistes to use. Not only for its efforts to reduce festival waste by introducing waste separation in 2006, organic waste separation in 2015, implementing a refundable beer-cup systemand the introduction of compostable food packaging. with it’s discussion stage for environmental issues as well as its shared tent “NGO Passage” housing some 30 non-governmental organisations. country, particularly in the early days. This festival has championed these initiatives and leads the way for other festivals in the country and more widely in their region by showing what can be done with belief and determination. They are a shining example, individual and a great and leading European festival! Once again the winner is POHODA!